February 9, 2018 January 12, 2018 Linda Reimer CFA, Corning, Corning Free Academy, Corning History, Corning NY, Local History, New York State History, Public Library, Southeast Steuben County Library, Southern Tier History, Southern Tier. Our first photo for this week features a small child, I think a little girl, ready to take a horse ride – once her companions finish whatever they are doing. And the house in the background is clear enough to recognize if it is still there today. If you know anything about the people or location where the photo was taken please let us know! 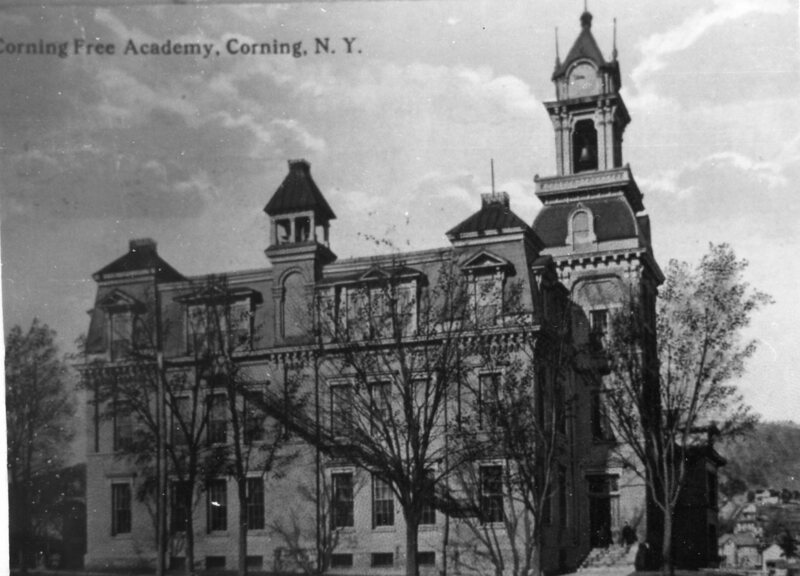 Our second photo for this week is of an old postcard of the first Corning Free Academy building. The first CFA was destroyed by fire at some time in the past. I believe the Dimitroff-Janes book* offers more info on the first CFA building. 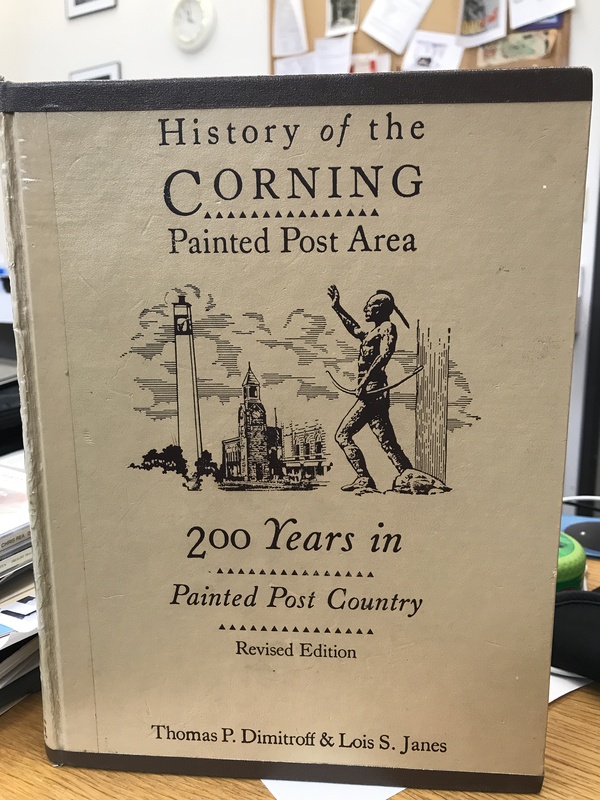 *History of The Corning-Painted Post Area: 200 Years In Painted Post Country by Thomas P. Dimitroff and Lois S. Janes. 1991 Revised Edition. Published by Bookmarks. The Dimitroff-Janes book is a great read for anyone interested in the history of the Corning Painted Post region. You can find several copies at the library under the call number: 973.783 DIM – check it out! 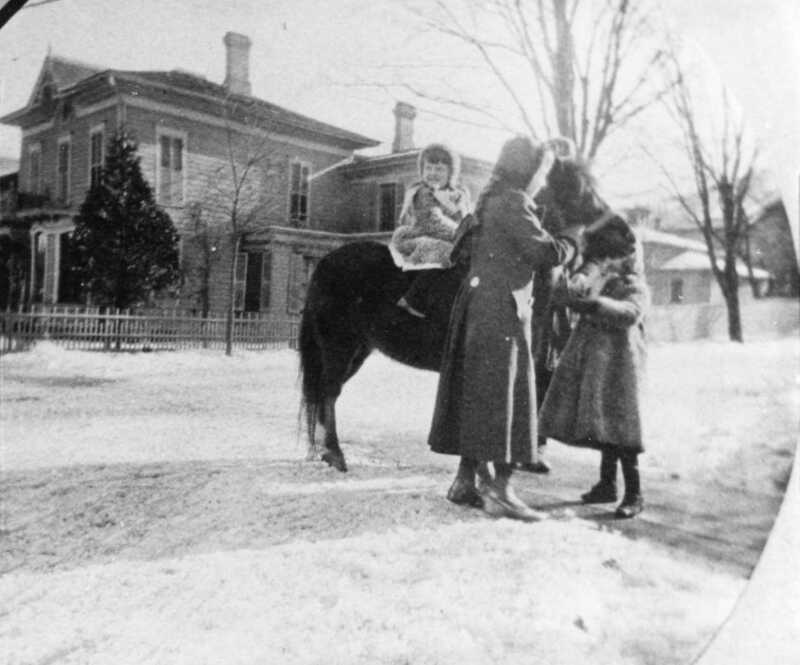 If I had to guess the house in the pic with the horse is 1st and Cedar. If so, that would mean what looks to be a carriage house in the photo is now a parking lot.